The US has led the way in imposing sanctions on the Maduro regime, including state oil firm PDVSA. Canada is part of the Lima Group of 14 mostly Latin American countries that met in Santiago earlier and called on the United Nations to “take action” to prevent an escalation of Venezuela’s humanitarian crisis. The Lima Group was created in 2017 to try to find a solution to Venezuela’s economic meltdown. 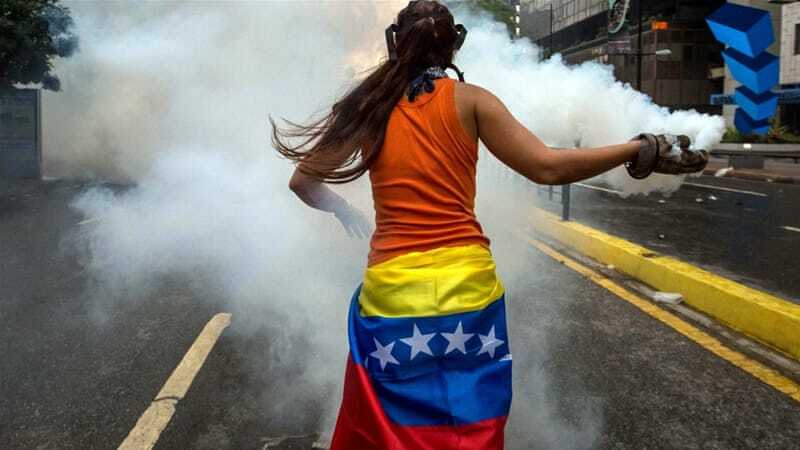 More than four years of recession have left Venezuela in crisis, with the country’s poorest residents suffering from shortages of basic necessities such as food and medicine, even though the South American country sits on the world’s largest proven oil reserves. Most Lima Group members refused to recognize Maduro’s second term, which began on January 10, due to alleged fraud during his reelection last year. The speaker of the National Assembly, Juan Guaido, launched a challenge to Maduro’s authority in January and has since been backed by more than 50 countries, led by the United States, that recognize him as Venezuela’s interim president. Guaido wants to force Maduro, whose rule he deems to be illegitimate, from office and set up a transitional government ahead of new elections. US Secretary of State Mike Pompeo ended a whistlestop tour of South America on Sunday by visiting Colombia’s border with Venezuela. More than 2.7 million Venezuelans have fled the country since 2015, according to the UN, while the International Monetary Fund says the country’s inflation will reach a staggering 10 million percent this year. Venezuelans have been hit by repeated electricity blackouts in recent weeks while unemployment is over 44 percent.